For as many different kinds of wooden pencils I use, I’m not usually too adventurous with my pencil sharpener. I usually exclusively prefer hand-held sharpeners, like my left-handed sharpener, my Palomino KUM Long-point sharpener, and the KUM Ellipse I keep in my jacket pocket almost all the time. I remember with disdain the giant Cold War-era Boston sharpener of yore that would hungrily eat my pencil with its two giant dull grinders. It left me with a long, dull tip and the wood surrounding it half-eaten and dirty. Sure, it didn’t take as long to sharpen with that monstrocity, but it was loud, messy, and ineffective. This summer, I got an email from Troy Decoff, who developed what he calls the “Classroom Friendly Pencil Sharpener“. It seemed to combine the heavy-duty nature of the wall-mounted sharpener with a smaller footprint and sharper grinders. It operates very similarly to the Dahle Fifty-50, which I’ve reviewed on this site just over a year ago. Pull out the front, pinch the holders together, put your pencil in, and start cranking. The benefits of this sharpener over the Dahle? Well, first, the pencil holder locks into place when it’s fully extended, unlike the Dahle, and it’s sturdier, with an all-metal case. And, most importantly, the point is much much longer. Look how sharp! Buffy the Vampire Slayer would appreciate this sharpener. While the point is not quite as long with the Palomino KUM Long-point Sharpener, it’s still very long. And very sharp. If the two-step manual process of the Palomino sharpener is too hard, this will be much easier. One disadvantage is that, much like the Dahle, the grippers will leave a mark on the barrel of the pencil. If you’re just using, say, a Ticonderoga, it’s no biggie, but I don’t want to ruin the nice sheen on my Blackwing or my Hi-Uni! I’ve brought it to work and keep it at my desk. It’s perfect because it’s quiet enough to not disturb my office-mates, and it’s quick enough to re-sharpen a dull pencil in less than 10 seconds. Thanks, Troy, for making such a great product! I like this much better than most of the desktop electric sharpeners you see at office supply stores nowadays. Always a pleasure to see someone finding a solution to a specific need. I have one of these and I love it. If only I found it 15 years ago during the beginning of my teaching career. Love the cool retro look too! Nice review! I’m sorry you had such a bad experience with a Boston sharpener. A lot of those sharpeners may have been abused in a school environment so their performance was compromised. I know kids in my school shoved all sorts of things in our classroom Rangers. The fact that it worked at all was amazing. Do you think this sharpener would have fared better? Thanks for you comment, Chainoil! Yes, I should add that I was referring to the old, old, Cold-War-era Bostons. I went to Catholic school in the late-80s through early 90s, and I imagine those sharpeners have been there since the 60s. It is a testament to their hardiness that they were still there and functional. 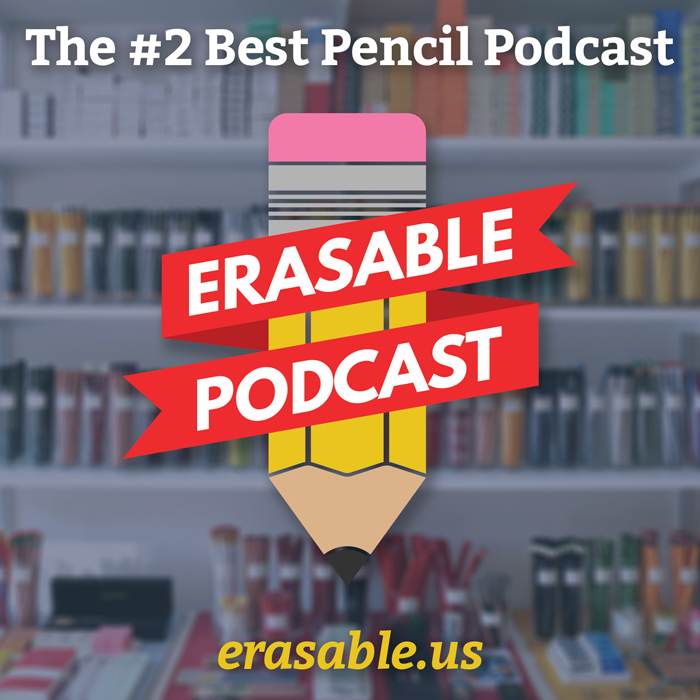 What does a second grader care that their pencil gets eaten up quicker? I sure didn’t. I didn’t mean to malign Bostons in general — just the ancient ones. Which look awesome, by the way. I have one at home, that’s a topic for a different post. By the way, I like your blog! I just added you to my blogroll on the side. I am looking forward to your post about your Boston! These sharpeners from Troy are amazing, equal to the great (and more expensive) Carl sharpeners from Japan. I have had bad luck with Boston crank sharpeners, even when new. A year ago I bought a NOS Ranger and it just ate pencils or left only one side of the point sharpened, the other still encased in wood. Not a single instance of that with Troy’s sharpener—it creates a perfect point every time, with cheap as well as expensive pencils. It has certainly become my first choice for class use and sharpening difficult pencils ever since I reviewed mine back in April. Smooth and reliable performance. Well for balance I’m sitting here looking at a Palomino Blackwing 602 with 16 teeth marks scattered on its surface from the jaws of death grippers. Why don’t they put padded grippers on this thing??. BTW the point this produces (assuming it is the same sharpener as my Carl Angel – 5 which I’m sure it is) is much longer than my KUM 2-stage longpoint sharpener. These sharpeners are great. Only a KUM long-point sharpener can compare (as a portable option). And the teethmarks can be managed if you remember some way of indexing your pencil the same way each time you sharpen ( I always face the logo upwards). I’ll have to get another one or two because I can’t go back to the “normal” point sharpeners. The KUM long-point makes a great point for the first few times, but I find that the mechanism and plastic casing wear out quickly. Pencil points start breaking off inside the shaft. I was at a writer’s conference last weekend, held at a school, taking notes with a Blackwing, and the cheap little sharpener I’d carried along failed on me. I thought, hey, I’m at school, there’s probably a sharpener on the wall somewhere. I have heard about this sharpener and am in DESPERATE need of a good one for my classroom. I can’t seem to be able to order one, though. I keep getting a message that says the store no longer exists. Any ideas? Heather, hi there! When I go to http://www.classroomfriendlysupplies.com/, it’s telling me that it’s just sold out until Mid-April. You could try contacting them and seeing if there is a date when it is back in stock? I hope that’s helpful.